This entry was added to the database on Wednesday, December 16th, 2015 at 12:46 am by THEREALDEALDUDE. This information was last updated on Tuesday, May 10th, 2016 at 7:38 pm by . Yep, same as the EU one. Apparently Prima Games just announced a CE version of Dark Souls III Guide called the Estus Flask edition, single print and with some nice collectables, dropped an pre-order myself. “The Undead treasure these dull green flasks.” This high-quality, resin replica of the emerald Estus Flask is sure to be “an undead favorite” of any Dark Souls fan. “The Greatsword of a knight tainted by the Dark of the Abyss.” The Wolf Knight’s Greatsword, only in this deluxe package, is a sculpted and etched metal bookmark to mark your place while using the hardcover guide. “The Darksign is the sign of an accursed Undead.” Use the Dark Souls III Darksign Journal to take notes on the game, or use it to reflect on your accomplishments after a long day’s toil. Premium hardcover guide. 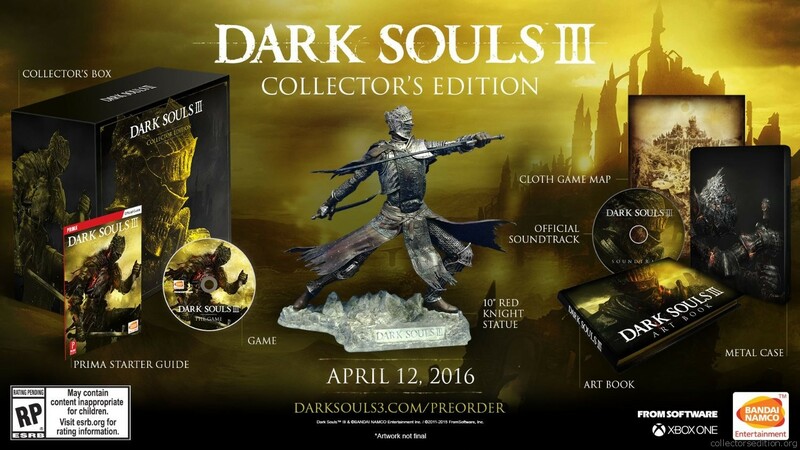 Comes with a dust jacket that features artwork from Dark Souls III. Free Mobile-Friendly eGuide. Includes a code to access the eGuide, a web-access version of the complete guide optimized for a second-screen experience. This limited edition bundle will only be printed once. When they are sold out, they will be gone forever! Any links to this said prestige edition anywhere? Awesome, thanks for that, little expensive, but a must have for me. Got my pre-order in earlier today! Been waiting for this to pop up ever since Prima Games tweeted about it a few weeks ago. Just noticed the price has dropped for the Estus Flask edition, it's now $78 instead of $130, bit more reasonable. Might be worth it for those avoiding it due to the price. So happy the price has dropped significantly! 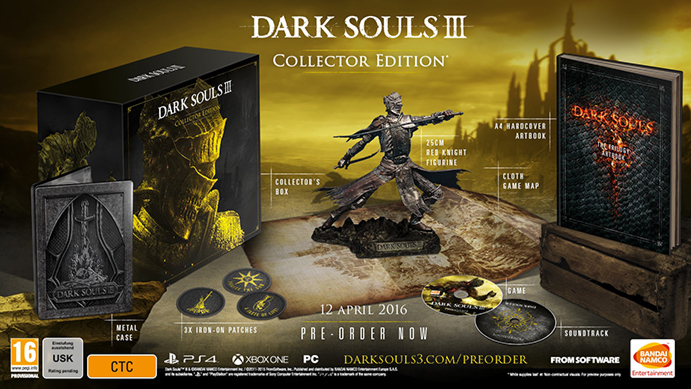 Does anyone know if there are differences in the contents of the collectors edition depending on region? Say for example the US version has a different steelbook or artwork compared to the EU version. I have sent emails off to many people but no one has been able to answer this for me. So they are different. That's quite annoying. Thanks a lot for sharing! But do i understand it well that you say the the US CE steelbook is exactly thesame as the EU CE ? So as far as i see it the only difference between these two is the artbook? Is there any official information about0 PC US release of CE? On official dark souls website it is nothing. In retailers sites it is nothing. Shows only download. Console only release is pretty strange. Why no PC love for US?